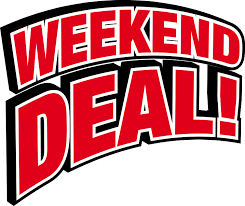 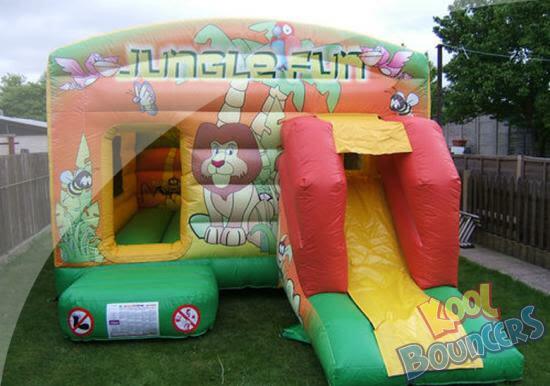 Here is our Jungle Fun front slide combo Bouncy Castle. 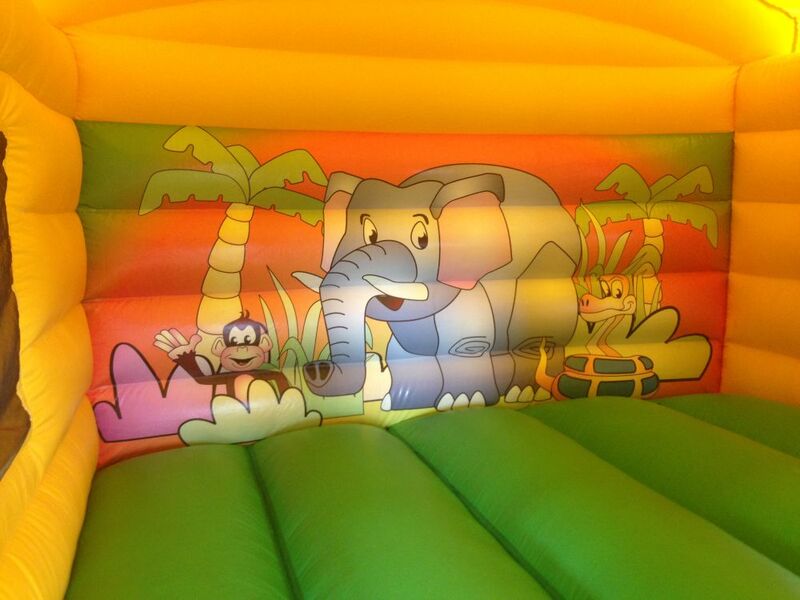 This is ideal for those locations that do not have the space for a slide that exits out of the side of the Bouncy Castle. 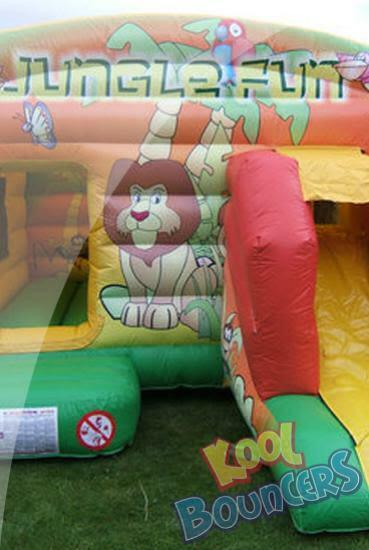 Suitable for both boys and girls, truly a universal theme loved by everyone.